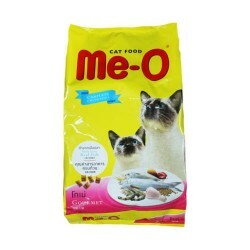 Product Details-Use- Me-O Cat food with high protein and calcium,Suitable-For adult cat 1 year.Quantity-400 Gm. Product Information-ME-O Quality cat food with high protein and calcium which are vital for your beloved cats. With numerous flavours such as Gourmet, it provides not only healthy nutritions but also a great taste that your cats will going to love it.